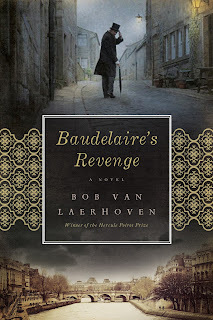 Murder is Everywhere: Guest Blogger, Bob Van Laerhoven: "Brussels, You're Very Sick...."
Guest Blogger, Bob Van Laerhoven: "Brussels, You're Very Sick...."
Our mutual buddy, Leighton Gage, is my link to Belgian-Flemish author Bob Van Laerhoven, and as you’ll see from his biography, Bob is a writer of extraordinary breadth and experience … all of which comes to bear in this deeply personal, immediate, and penetrating essay brought on by the Brussels terrorist attacks. Bob debuted in 1977 as a short story writer, and in 1985 as a literary novelist. More than 30 novels followed, some of them cross over between literature and the suspense novel. He explored trouble-spots across the globe from 1990 to 2003: Somalia, Liberia, Sudan, Gaza, Iran, Iraq, Myanmar, Mozambique, Lebanon, Burundi…to name but a few. During the Bosnian war, he was in besieged Sarajevo, and in 1995 he sneaked into Tuzla when the refugees arrived from the Muslim enclave of Srebrenica. His conversations with them resulted in the book Srebrenica,Testimony to a Mass Murder. 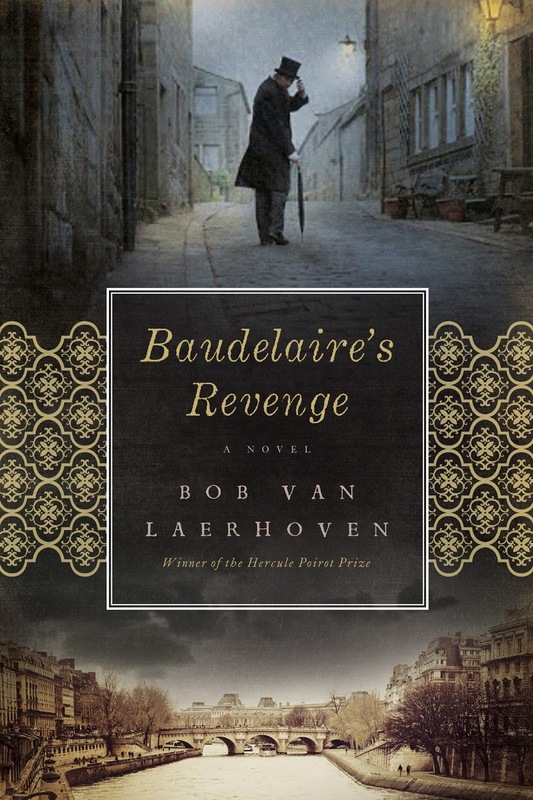 De wraak van Baudelaire won him the Hercule Poirot Prize for best suspense novel of the year in Belgium. La Vengeance de Baudelaire was published in France and in Canada, followed by Baudelaire's Revenge in the US, and Le Mensonge d'Alejandro in France. 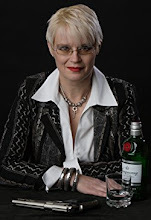 Baudelaire's Revenge won the USA Best Book Award 2014 in the “mystery/suspense” category. Never before was the fissure between my past and the present more clear and harrowing than on Tuesday, March 22nd. I was busy in our meadows with our three horses, for me the most precious creatures on this Earth. Like every day, I drank in their aura of tranquil nobility and goodwill, and felt blessed, when my wife called me with urgency to the house. 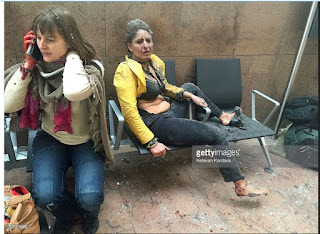 Five minutes later, I was staring at the TV, showing, in a confused abundance of images, that Brussels, 45 kilometers from where I live, had been attacked by Jihadist Terrorists. Suicide-bombers in Brussels Airport and, quickly afterwards, in the metro of Maelbeek, squarely in the middle of the “European quarter” of Brussels, had detonated three bombs. Zapping between news stations, I heard the number of casualties rise quickly: 13 dead – 23 wounded….No, wait, more casualties…Oh no, a new number is coming in… (When I write this, the macabre count is 32 dead, 55 people fighting for their life in intensive care, and hundreds of wounded). Looking at images of the victims who were dragged from the entrance-hall of the airport and from the tube tunnel, gaping at the formidable debris the powerful bombs, loaded with nails to cause ghastly wounds, had created, I couldn’t help but thinking that this was a dreadful Chronicle of Suicide Attacks Foretold. 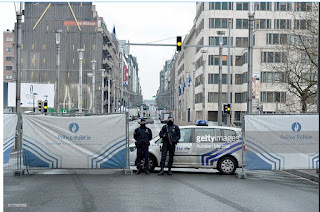 In the margin of the euphoria in the world press when Salah Abdeslam, one of the instigators of the terror attacks in Paris in November 2015, was captured in Brussels, I had read disturbing analyzes of the complex Jihadist network linking Brussels with Paris. Experts concluded that Brussels was no longer only the “diplomatic capital of the world,” but also the capital of Jihadist activity in Europe. The name Molenbeek, one of the municipalities of Brussels, went around the world as a hotbed for Islam fanatics. It became quickly known that Belgium had, relatively speaking, the highest number of Syria warriors in Europe. Suddenly, frantic articles were published about some districts of our capital in which, during the last twenty to thirty years, a way of life has evolved that has nothing in common with ours, that doesn’t want to integrate, that scorns and belittles us, and likes to see us destroyed. To cope with this bewildering situation, my country employs in its State Security Department just about 600 civil servants. The budgets of the intelligence services are woefully small, and the Belgian anti-terror agency OCAD can’t even process all intelligence it receives through lack of capacity. In short, all the caricatures of Belgium as an absurd hotchpotch of surrealistic political structures, as a beehive of Walloons, Flemings and Bruxellois who can barely tolerate each other, and prefer to guzzle chocolate and beer instead of countering Muslim terror, seemed to become true. No wonder, experts blared, that Belgium had been so ill prepared. It was a miracle, they trumpeted, that Brussels hadn’t been attacked sooner. Gaping at the TV-screen, I reminisced about a period in my life in the nineties, in which I had witnessed from close-by the seeds of a religious-political extremism that would become more virulent with time. In 1992, I interviewed a few mid-to-high-ranking executives of the Palestinian Islamic Organization Hamas (which means fire and fanatic) during the first Intifada in Gaza. Although Hamas’ violence at that time was mostly directed against Israel and at Palestinians who were suspected to be collaborators, it was made clear to me that the ultimate goal of the organization was world dominance for Islam. “Like any good Muslim aspires,” one of them said. In those days, suicide attacks in Europe itself were not in the forefront of Islam extremist activity. In 1995, we had a series of bomb attacks in France by the Armed Islamic Group of Algeria, but that was about it. In that period, the US had much more to endure: the bombing of the World Trade Center, shootings at the CIA headquarters in Langley, and several attacks on US embassies throughout the world. Nevertheless, the hatred for Europe, perceived as an ally to Israel, was there. I asked a particular fiery member of Hezbollah, who had refused to shake my hand during a “press-gathering” as they called it – I was the only “press” in the room – why they hated the West so much. The standard answer usually was a flared statement about Western exploitation of Eastern treasures - be it gold, spices, and at long last ‘black gold’ – beginning with the Crusades, followed by the queen of all insults - the establishment of the Israeli State - and at long last Western colonization. Normally, there was further dwelling on the “crimes against humanity” the US had committed in Iraq and Afghanistan, and, a generalized statement condemning the contemptuous treatment of Muslim immigrant workers in Europe. This time, the answer was not a jumbled account of history, but one sentence: “It’s Allah’s Will that those who don’t follow Him must be annihilated by His faithful worshippers.” I tried to reply that, in my view, this could not be the standpoint of a god, but the result of the worst aspects of human nature, but I was cut short. The question is everywhere. Not only the media spread it, but it is written on our suspicious faces, in the angry and frightened disbelief in our eyes. Why do they hate us so much? Precisely what makes those mostly young people decide to sacrifice themselves to kill innocent citizens? Are they brainwashed, drugged, insane? It turns out that these clichés are practically never true. The way to becoming an extremist willing to sacrifice his life in “holy war,” is complex and has individual and social roots that are not fully comprehensible for our outlook on life. In Gaza, I was brought to a Palestinian family of a young martyr who had died recently. The father sat cross-legged in front of me with tears in his eyes, yet at the same time literally beaming. He was so proud of his son and the status he as his father was given by the community. The family received financial support, better housing, and other signs of kindness and admiration. There are terrorists who have been ordinary criminals and thugs before converting to the outer limits of their faith, but more frequently, they are middle-class young people whom friends, relatives, and teachers saw as normal young guys, often friendly and helpful. What changed them? In the first place there is the fervor to “defend” Islam which they see as threatened and abased, mingled with anger over a perceived low and unjust social status, and, when they live in the West, feelings of frustration about the political order they live in. Then follows a stage in which religious motives and political goals become intertwined. Such individuals feel treated in a demeaning manner and when they form a group that feeling is strengthened. In the nineties, I saw Muslim organizations radicalize in countries as Somalia and Sudan, Nigeria, etc. (BTW, Africa harbors more Muslims than The Middle East and South East Asia.) Most African Muslims I met, were very proud of their religion. Islam gave them identity. Everywhere, they saw denigration towards Islam, plots to destroy their faith, schemes to weaken them. In Nigeria there was for instance an imam who preached that the recently introduced polio vaccines were a scheme of the West to sterilize Muslims. Nuances put aside for a moment, I think I can say that there was a common streak in many Muslims I talked to, be it radicalized or moderate: a slight to deep-rooted suspicion of non-believers, a feeling – mild or outspoken – of moral superiority, and outrage against a vague concept of the suppression of the West. 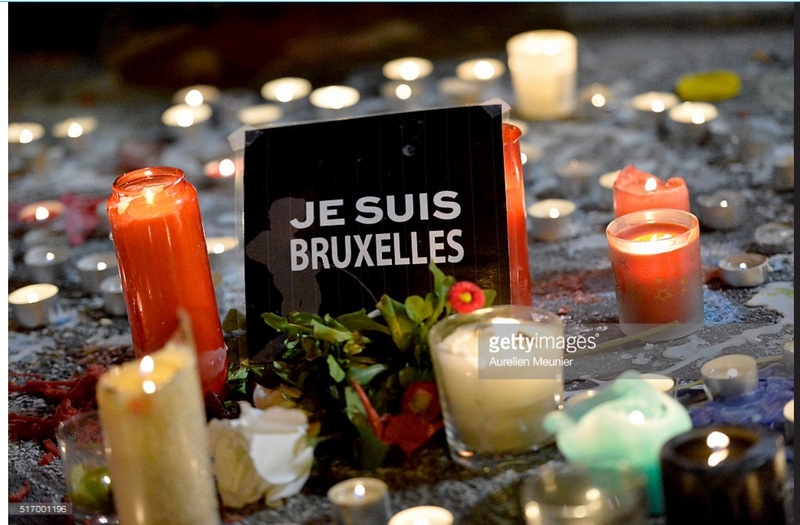 Of which Brussels is an important symbol. So, from now on, the newspapers headline, we “will have to live with the threat.” That may be true, but let’s not forget that men and women who were born in the seventies in Iraq and Afghanistan have grown up in constant war-conditions, and, on top of that, in far worse daily living conditions. If they can cope, why shouldn’t we? However, this means that we have to learn quickly. Will Belgium be able to do that? Not if we continue like we did in the past. Horrifying mistakes and sloppiness were brought into daylight in the aftermath of the attacks. 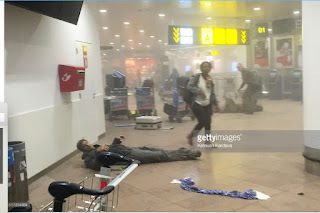 In a confounding series of statements from Turkish, Dutch, and Belgian politicians, it became clear that Ibrahim El Bakraoui, who blew himself up in Brussels Airport, had been arrested in Turkey in June last year, and was deported to Holland (!) before being passed back over to Belgium. During that strange and cumbersome procedure, with a cat-fight between Holland and Belgium as a result, the warning that Bakraoui had been a Syria-fighter and was radicalized, was, well, eh, lost. Further humiliation was on its way. A “March against Fear” in Brussels, planned for Easter, was cancelled by the organizers when the authorities warned that they needed all available police forces for the investigation of the attacks. 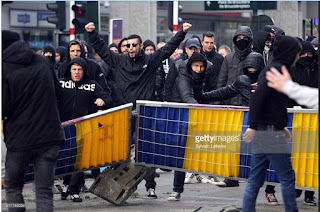 But on Sunday the 26th, a horde of extreme-right hooligans stormed into Brussels, disrupted the peaceful mourning rituals on the Place de la Bourse, sang fascistic songs, brought out Nazi salutes, hassled passers-by, and made no-holds-barred amuck when the riot-police charged. All this in front of press cameras from over the world. And wretched European Union. In a moment wherein the EU-members should stick together and form a resolute front against terror, it becomes clear that the Union is an institution that claims many of the prerogatives of a “super-State,” but can’t carry out its most important raison d’être: the protection of its citizens. Two days afterwards, I read Hanan al-Shaykh’s excellent novel Only in London. What a delicate, elegant, often funny, and compassionate analysis of Muslim outlook on life versus the Western way of thinking. The novel is open-hearted, also in sexual mores, proving what a compassionate and tolerant religion Islam can be. Hanan al-Shaykh has a keen eye for what binds us together, in spite of all our differences. What a striking, even baffling, difference with the barbarian, power-hungry, and apocalyptic view on the world of Islam extremists. Three days afterwards. This morning, I came to our meadow. Bruja, the alpha mare of our herd, came up to me, and inspected me closely. Then, she did what she never has done before. She laid her head on top of my skull. We stood for minutes like that, motionless. Thank you, Donis. It wasn't easy to write. Many more memories than I could note have surfaced since I wrote this piece. It saddens me that, so long after my experiences, the situation hasn't changed for the better, on the contrary. Thanks for this fascinating piece. Thank you, Stan. This topic brings on so many sad memories for me. I would have preferred another subject. For instance, the way my wife, a hippo therapist, treats people with mental and physical problems with the aid of our three princesses, who have the ability to mirror the human soul, just as all horses have when they are treated with love and respect, and not as mopeds on four feet. There is so much to think about in this, Bob. I was moved by the comfort your received from Bruja. It brought me back to your first paragraph and the bucolic scene you painted for us. My life does not include such natural beauty on a daily basis. I live in New York City exactly half way between Ground Zero and the United Nations Building. This place, at the opposite end of the spectrum from your home, is a place where every different kind of person--by just about any definition you might name--live together in peace. Fights do not break out on the subway if an orthodox Jew sits down next to a Muslim wearing a kanzu. It is easy here to see what 99% of the human race really wants--a safe place to live, enough food, friends and family to be with, a little fun, some music, some laughter, and work they find meaningful. I do not know how one gets the world away from the misery and anger you so vividly describe and closer to your neighborhood and mine. But I hope against hope that collectively the human race will find a path. Bombs, I am CERTAIN, create holes, craters, not roads. And not solutions. Thank you, Bob, for giving us some insight into the incomprehensible. And thank you too, Annamaria, for your heartfelt response. To pick a quote (from Caro's post): 'War does not determine who is right - only who is left' - Bertrand Russell. 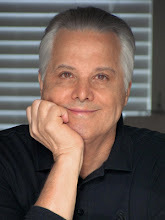 My thanks, also, Bob, for a WONDERFULLY thoughtful piece! And, AmA, you hit the nail right on the head: the only solution is closer integration, a more thorough mixing of all the different strains of humanity. Separation ("No Muslims here!") only emphasizes the "us vs. them" attitude, which only breeds hate and contempt. Familiarity and constant presence breeds comfort, trust, tolerance. At ease. So Donald Trump and his ilk can take their anti-Muslim stances and cram them where all the other rotten, smelly shite resides. Thank you, Everett. Integration is indeed the only solution. It is not easy, but the rewards are so much bigger than the "us vs. them" attitude. Let's hope that the "Trumps" of this world don't get away with their seeds of contempt, suspicion, and mistrust. Incredibly thought provoking, challenging my notions as a relatively good-hearted man whose first sympathy is for the oppressed, as a Roman Catholic reared and educated atheist whose contempt for religious fundamentalism and disdain for religion in general is the product of the rigors of Jesuit and Dominican teachers, and as a half-Jew (Sephardic) who can identify with Judaism's message of "jubilee"while divorcing himself from any notion of identity or attachment, emotional or political, to Israel. And yes, I just went on Amazon to order your books! Well, Eljay, I find your response attesting an openness that I like. If we can take a good and honest look at ourselves, maybe we'll manage the same towards others. Thanks for ordering. 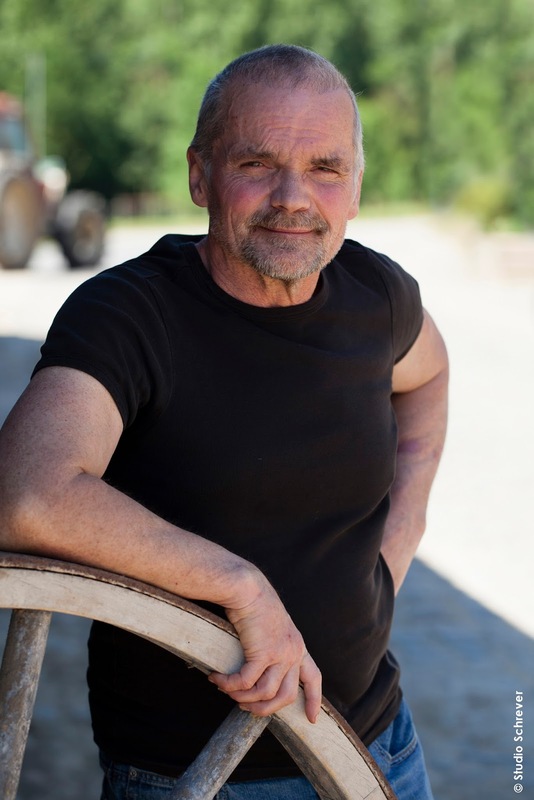 I'll be open myself: the novel and the short story collection are very "noir." They were written in a period of my life where everything seemed bleak as a consequence of what I have witnessed in the world. I echo everyone else in praising you for taking the time to offer such a thoughtful, considered examination of this difficult situation. It's nice to read something that offers insight, fact, and consideration rather than merely rhetoric. And, like Annamaria, I'm so glad you included your experience with Bruja at the end. It points out that empathy can even transcend species, when so often we as humans miss the change to offer it to our fellow man (and fail to notice when it's needed). Also - it's great to see you here! The pleasure is also mine, Susan. It has been a while, but in the meantime I read "Claws of the Cat" and am looking forward to read "The Ninja's Daughter." You capture the subtlety of 16th-century Japan very eloquently. You know that Japan is one of my "hobby horses" (only my real horses are more dear to me :-))and I sure do want to follow your series...Success! An immensely impressive and thoughtful piece, Bob. Thank you so much for sharing it with us here. And horses are better at sensing our moods than many give them credit for, aren't they? One of the joys of being in New York City is seeing people from probably all countries, religions, languages, cultures living together in peace and kindness. Millions of people have suffered from years of war in Iraq, Afghanistan and now Syria and Yemen. Countries are in tatters, residents forced to live in terrible conditions or flee, through no fault of their own. 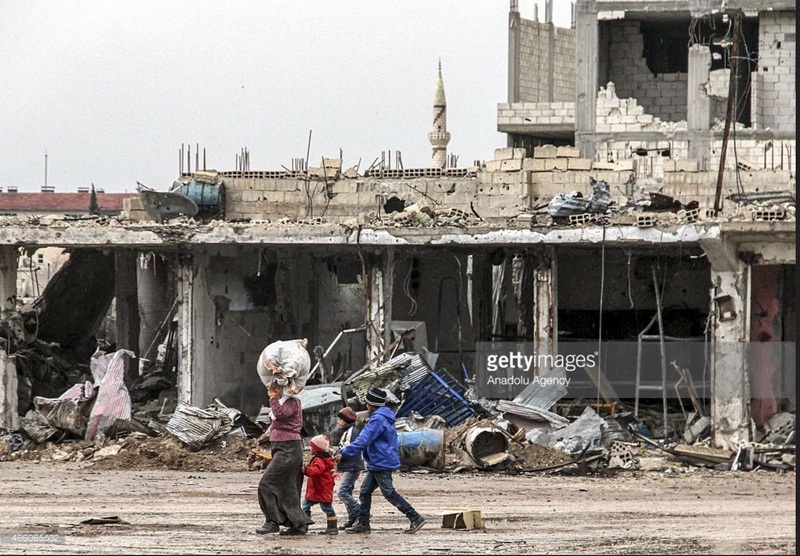 Now, the Syrians' fate is unknown, as they are being sent back to Turkey. How is this condition of life acceptable to caring human beings? That children should have to live with or flee wars, bombs, destroyed housing, education, health facilities. Their desperate conditions are not their fault. Let's all work to end these wars and let people live in peace and let the children have full lifetimes and lives, and the adults, too. War is hell, the worst destruction to human lives. We should work to end them. I meant to say that taking innocent lives is terrible, but that is true everywhere, including in wars. Human lives in the Middle East and Africa are as important as other lives, even though these names are not put in media headlines. But these lives matter. We should work to end wars as any solution. They just create more destruction. As always from you, Bob, a thoughtful, insightful and deeply moving essay. Thanks for sharing so openly. And please give Caroline and Bruja and the other princesses a big hug from Laurie and me!